We look forward to helping you plan your very own Peaks Island Adventure. 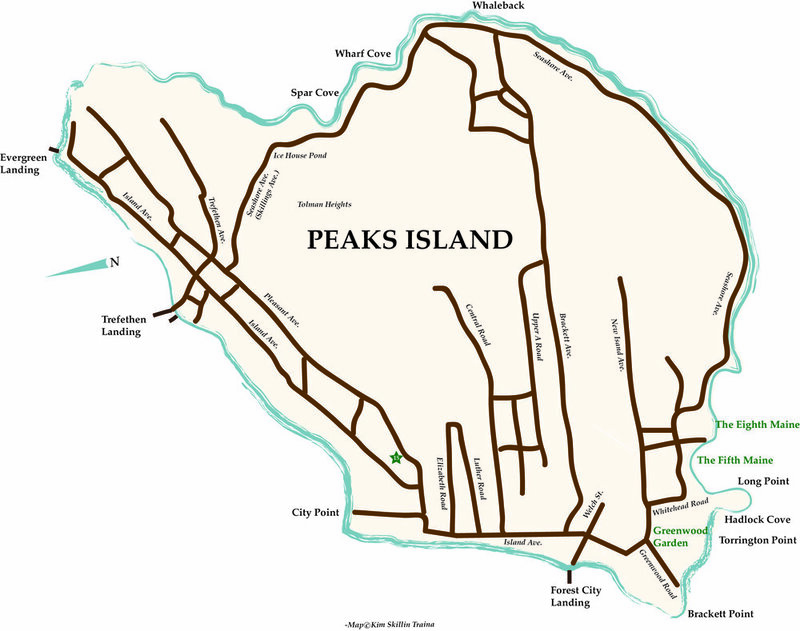 Peaks Island Tours was established in 2003 by the MacIsaac family. Current manager, Kim MacIsaac, is a fourth generation islander often regarded as the island historian. She, her family, and cadre of long-time island tour guides are well-versed in island history and the idiosyncrasies of island culture. Each brings different experiences of and perspectives on island life. Candace, Dan, Fred, Jeff, Jon, Peter, Ken and Valarie are happy to share their home with you! Peaks Island golf cart and walking tours hosted by long time island residents. Learn about the rich history that shaped Peaks Island, from it's origins as a fishing village, to the Coney Island resort days of 1880-1920, as a WWII military base, and interesting tales of the spirit and beauty of island life. Reservations are necessary as space is limited.